It shouldn’t be a surprise that a strong social media presence can elevate sales and show a return on investment with the right amount of effort. 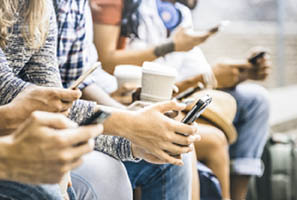 Coupled with the fact that there are over 3 billion active users on social media and growing, as reported by We Are Social, it’s even more important that social media be a part of your marketing arsenal to connect with current and prospective customers. Keeping in mind that it will take some time to organically grow your business presence to get to a point of seeing a return, you must first start with the obvious – creating your business profiles. 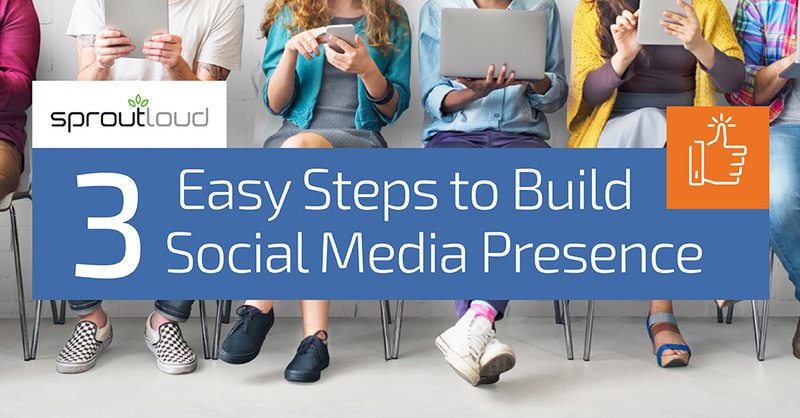 Once you are present on these platforms, you’ll focus on enhancing your social pages with content that increases engagement and tapping into strategies to grow your audience. In this blog post I’ve outlined three critical areas of focus to build your social media presence. Assuming you’ve already created business profiles on relevant social media sites for your industry, you’ll want to ensure that you’ve filled out your company profiles correctly and completely. For example, your business address should match exactly to what you have on your website so search engines see the consistency and acknowledge this information as valid. Additionally, making sure you have all details like hours of operation and things like payment types accepted help customers come to your establishment better informed and show search engines that you have more information to offer users. 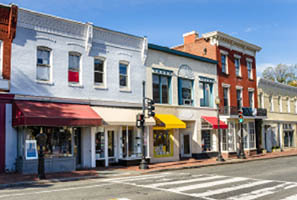 Even something as simple as images, like a logo and storefront or staff photos help build a connection to your company. When it comes to posting content there are a lot of “rules” to follow, like quality over quantity and the 80/20 promotional rule, but it’s important to keep in mind who your audience is. Above all, posting truthful and relevant content gives customers the feeling of trust while keeping you top of mind. In fact 51% of Facebook users are more likely to buy the products of brands they follow online per Yahoo Small Business. So it’s even more important to capture this audience with a few quick posts. You might be saying, “it’s hard to come up with so much content.” Check with your brand’s marketing department to see if they have social media content or programs you can leverage. This will help fill your profile with brand sponsored messaging that’s relevant to your followers. And with this regular content you not only establish a co-branded presence but you have more time to focus on additional content that builds a deeper connection with your local community. Did something happen that would be relevant to share with customers, either within your business or the community? Is there a local event you are participating in? Is there a new product/service you are looking to offer? Your existing followers want to know about these things so they can share with their friends and family in their communities. Social Media is about sharing and connecting with your local community. Users like having the inside scoop and being a part of something special – that’s why they’re on social media in the first place. Create incentives to share your content with your existing followers using contests and giveaways. The more folks like, share, retweet, the higher your chances of getting the word out about your business and more folks following you. When your followers can trust in your business and relate or take part in what you have to say on public platforms, they’ll be more likely to engage and help boost the organic content you are posting. This in turn expands your online footprint to put you in front of more prospective customers looking to purchase your products or services. So what’s new in your industry or business that you want to share? Don’t wait! Get online and post about it today! 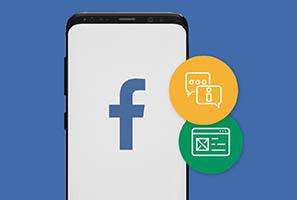 Facebook Advertising, Boosted Posts and Organic Messaging Learn more about paid social media, organic social media and how to use Facebook Advertising to engage your local customers. Organic Media v. Paid Media: What’s Best for Me in Social Media Marketing? Dive into social media marketing and emerge with a better understanding of what will work to position your business to engage more customers and increase sales. Google My Business: What You Need to Know Explore the ways Google My Business can help your local business improve its online presence, increase the effectiveness of local marketing and drive more sales. Jennifer Bader is a Client Project Manager at SproutLoud. She joined SproutLoud in 2012 after starting her professional career in sales and fundraising. Jennifer has worn many hats during her tenure at SproutLoud, including marketing assistant, local marketing coordinator, client program manager and client relationship manager. Now, as a Client Project Manager, Jennifer’s primary focus is onboarding new Brands, while keeping up with SproutLoud product and industry knowledge. With over 7 years dedicated to SproutLoud client Brands and Partners, Jennifer’s talents help ensure a successful launch of the SproutLoud SaaS marketing platform to distributed marketing organizations. 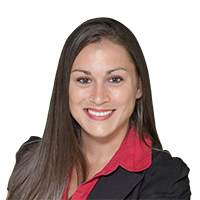 Jennifer earned a BA from Florida Atlantic University and is a proud South Florida native who enjoys playing sports, being outdoors and cuddling up with her two amazing dogs and husband.